Barcelona, February 16-18, 2017. 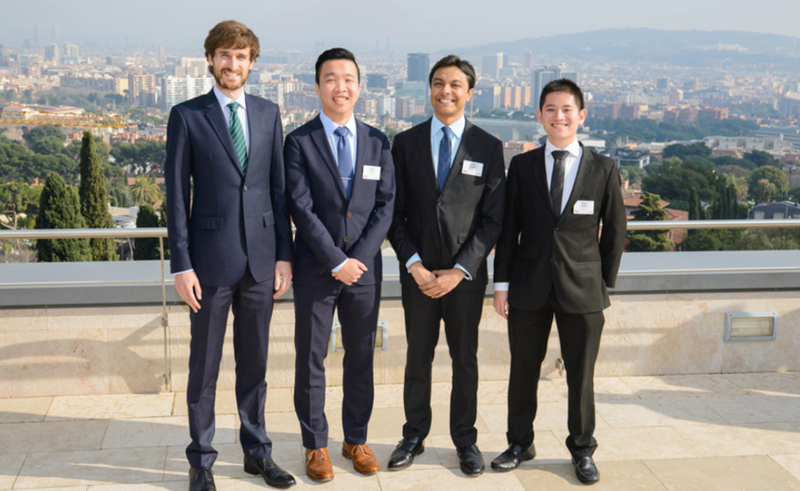 – MBA students from top business schools such as China Europe International Business School, Hong Kong University of Science and Technology, IESE Business School, Kellogg School of Management, London Business School and Tuck School of Business gathered in Barcelona on February 16, 17 and 18 to take part in one of the world´s oldest and most important case competitions: The IESE Roland Berger International MBA Case Competition. During the two and a half days, MBA teams analyzed a relevant and current business case – “Ricoh Spain: Transforming the Business” – which explores the challenge of how the company should transform from offering mainly printing services to digital. Acting in the role of consultants to Ricoh, each team had to work through the case and then present their solutions before a panel of prestigious judges. To make it as true to life as possible, the judges consisted of the CEO of Ricoh Spain, Ramon Martin, as well as Miquel Soler, IT Services Director of Ricoh Spain, and two experienced partners from Roland Berger, Paul Jowett and Per Bruer. London Business School won the competition after a hard fought battle against IESE Business School in the final round. Download photo of this Press Release.